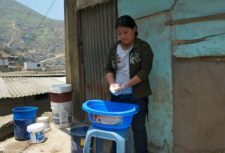 Child domestic work is one of the most troubling issues in Peru. Many of them are exploited and some of them are in slavery. In partnership with the Peruvian organisation Asociación Grupo de Trabajo Redes (AGTR) we support child domestic workers in Lima and Cajamarca. We reach out to children in domestic work, as well as vulnerable children about to enter it, and support them to build their skills and confidence to claim their rights. In La Casa de Panchita, AGTR’s centre in Lima, our partners run a wide range of activities from handicraft workshops, school and homework support, to expressive art therapy, English and computer classes. 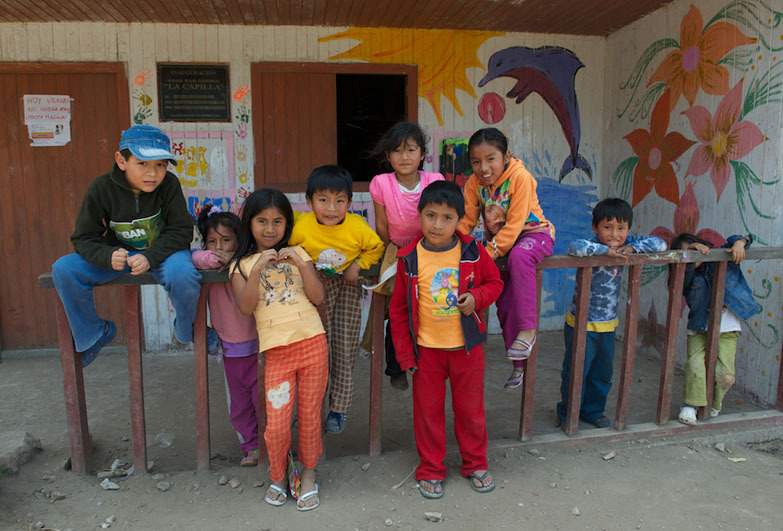 It has become an established institution in Lima, a safe space where children working in private homes during the day can come and talk about their problems, play with their peers, catch up on education and learn about their rights. In this safe environment, the children can learn about the risks of child domestic work, children and workers’ rights and gain access to support and advice. The project has already reached over 5,000 children, including some notoriously hard to reach live-in domestic workers, and directly improved the lives of hundreds of children who report improved self-esteem, as well as knowledge and confidence to stand up for their rights. 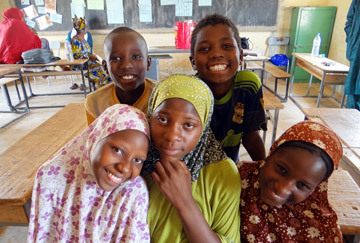 The project works with parents and employers to make sure children’s rights are protected and that they can access education. We also press for changes in laws at the national level, to protect children already in work and to eradicate child labour completely in the long term. An important part of the project is the success of the radio program “No Somos Invisibles” (We are not invisible) produced by AGTR, which regularly reaches thousands of people and changes attitudes towards child domestic work. 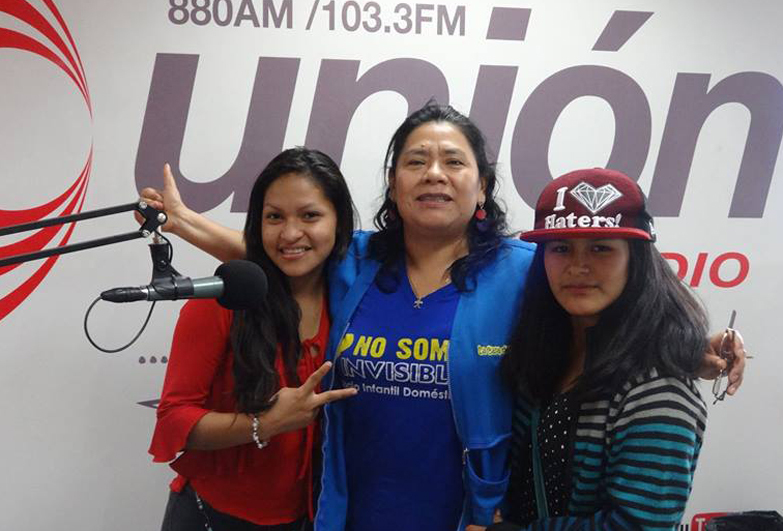 Luzmila (16, right) was twelve when she went to Lima to work as a domestic worker. Her employer for over two years forced Luzmila to work extremely long hours, convert to Catholicism, cut her hair against her will and controlled her every move. Luzmila secretly visited La Casa de Panchita for a few months where she built up her courage to leave her employer. She found a new job, where she easily negotiated much better working conditions. Luzmila has become a leader among her colleagues and is sharing information about their rights as domestic workers. Her favourite saying is: “If you love yourself, do not let them mistreat you”. Peruvian government estimates that there are around 120,000 child domestic workers in the country. Child domestic work is culturally accepted and there is little recognition of the potential dangers involved, or of the impact that domestic work has on the emotional health and development of the children, their educational achievement, their socialisation skills, confidence and self-esteem. Most children work for relatives known as madrinas or originate from poorer communities which already suffer marginalisation and discrimination. The effect of domestic work further restricts future prospects of children whose opportunities are already extremely limited. 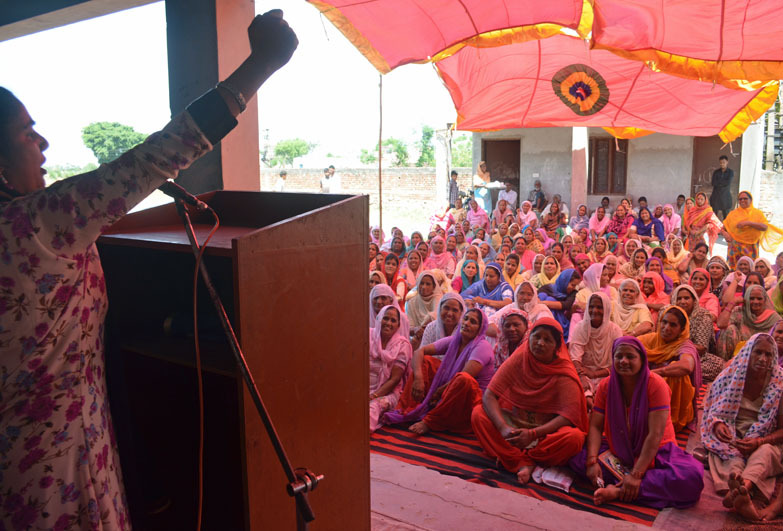 The problem is particularly acute for girls in domestic work, in a society where the status of women is particularly low and their rights are not respected. Vulnerability to sexual abuse and exploitation is high and early marriage is not uncommon. Whilst most child domestic workers can attend compulsory education, they often are discriminated against and have lower standards of education and late hours of schooling, which further limits their prospect for future life and increases their vulnerability to abuse.